It's spring, and all over the world, wine lovers are beginning to consider what this year's vintage will be like. Now is a wonderful time for a vineyard tour, to see the work of you favorite wine maker, and perhaps, to be one of the first to taste a new wine masterpiece. Maybe it's even the year to finally spread your wings, and go and visit one of the classic wine making regions of the world. So how can you get the best out of your visit? Here are some useful tips. You are going to be drinking alcohol, naturally, and even if you promise yourself to be careful, feeling inhibited is going to spoil the day. So bring along someone who will enjoy the outing, but who won't mind not drinking. Popular wineries are simply that – popular. So they do get very busy. To get the best out of your visit, come at a time when you won't have the share the owner's attention with a big mob. Even if you are not the world's greatest wine buff, you'll get much more out of your visit if you do a little homework first. That way you'll appreciate so much more what you are seeing, and you might even have some intelligent questions to ask, which owners always appreciate. You know you're going to buy wine. More than you planned on in all probability. Of course, you may be buying some by the case – I hope you do. But for the odd choice bottle, it's handy to have a box so it doesn't rattle around loose in the car. And it will probably gather some friends along the way to join it on its journey. Organize your trip so that you can call on two or even more vineyards in a day. Pick contrasting ones if you can, say, a big place and a small family run enterprise. Speaking of small family run places, remember that many vineyards are actually someone's home, and act accordingly. Praise and appreciate what you see, including gardens, dogs and children! You are there to taste, not have a party! If swill and spit facilities are on offer, then use them. Save the glugging down for the wine you carry back home. Remember to eat as well as sip; many vineyards have great restaurants in the area, or restaurants on the premises. 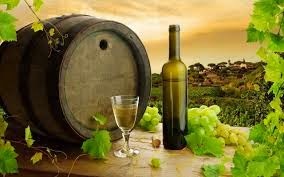 You can of course take a winery tour, and lots of people enjoy the cameraderie of such a trip. In particular, if you are on your own, it's a nice way to meet agreeable new friends. Personally, I like to go my own way, with just family and friends - it allows for more spontaneity. With world class wines and over 450 vineyards to choose from, it's not surprising that over four million people a year visit this area just to check out the wine. Can be crowded as a result, so seek out the smaller places, and the less popular times of year. Cooler and even more laid back than its famous neighbor to the west, this is an area with over 200 vineyards, specializing in the cooler climate varietals such as Pinot Noir and Gewurtztraminer. A good place for al fresco eating, with lovely scenery. What can we say? Elegant, distinguished, venerable, dignified – a region for the serious wine lover to savor. The cellars of Bordeaux are home to some of the most thrilling wines ever made, and some of the world's greatest winemakers. Remember to inquire about shipping cases back home. And don't even start me on the food....! One of the most beautiful places in the world, and one of the oldest established wine making regions outside Europe. Sensational wines, lovely people, delicious food – a visit to these vineyards would be the vacation of a lifetime. My personal favorite, Tuscany at any time of year has everything you could possibly want. Marvelous food, astonishing art, breathtaking scenery and beyond gorgeous vineyards to visit. Wine culture, and life, at its very best.